Home » Blog » Exercise vs. Diet: Which Is More Important for Weight Loss? A lot of people want to lose weight, but most of them aren’t familiar with the side-effects of doing it the wrong way. However, the question that usually bothers people who are inexperienced in this field is whether they should pay more attention to their diet or focus on exercising even more. Furthermore, some people think that they can simply burn all the calories off by increasing the intensity of their workout sessions. Needless to say, most of these ideas are wrong, and can even have a negative effect on your health condition. Other practical limitations come to mind such as – lack of time, will, and usually money. Instead of hitting the gym as hard as you can and losing a lot of time just to burn 300 calories more, take a moment and check this article out. You’ll find a lot of information and insight about which path should you choose when it comes to the importance of weight loss. This is a delicate matter; therefore, we strongly advise that you pay attention to small things because the highest chance for success is always in the details. It’s also a matter of your health meaning you shouldn’t take it lightly and potentially jeopardize your well-being. How Does The Food Affect My Plans? Experienced fitness experts will usually talk and think about the Pareto principle when diet vs. exercise is in question. This rule is also known as the 20/80 rule which means that 20% of your exercise and diet routine has 80% of the impact on the results. In simpler words, even though both eating healthy and working out on a regular basis have an impact on the trainee, they aren’t the most important elements in the equation. However, 80% of your results are determined by 20% of your lifestyle habits. While this law may sound a bit confusing, it’s quite simple and straightforward – small actions lead to significant changes. Before you think about the sheer components, you have to think about your habits. In other words, if you don’t have a strict plan or a well-planned schedule, it simply doesn’t matter how healthy the food you’re eating is because the human body doesn’t like inconsistency. We cannot emphasize enough the importance of regularity, consistency, and scheduling. If you ask a group of people who are on a weight-loss program about their initial plans, a vast majority of them will say that the first step in the process is changing poor food choices and cleaning your body of junk food. The thing that matters when it comes to food intake is nutrition rather than the taste. Once people learn how to resist good taste and opt for nutritive values, the whole process of losing weight becomes much easier to handle. Even though the whole exercise plan is quite important for weight loss, it’s not the crucial element. As we already said, poor choices and bad habits are what makes people struggle with fitness programs. We all know how hard it is to resist eating a slice of pizza full of cheese, but it’s always a better choice to skip the small pleasures because they just aren’t worth the effort. In fact, a slice of pizza contains around 600 calories which translates to about 30 minutes of cycling (in order to annul the excess). As you can tell, it’s not a worthy sacrifice at all. The general idea here is that one pound of fat consists of 3500 calories. If you’re planning on cutting some fat, you need to burn more calories than you take in. You can make an efficient workout plan by using some simple math. In other words, if you burn 500 calories more than you consume, you should be able to cut a pound of fat per week. However, a theory is usually far from the reality. In other words, not many people burn 500 calories in a workout session. Therefore, this equation doesn’t work well in most cases. If you solely rely on exercise to burn off those calories, you won’t have a good time, and you’ll probably give up as soon as you realize that it doesn’t work that way at all. Now that we’ve covered the advantages and shortcomings of exercise routines, it’s time to talk about healthy diets. A lot of people associate healthy food with bad taste. In fact, the most common misconception that people have about healthy food is that it has to taste horrible. Needless to say, that’s a completely wrong way of thinking, and it’s usually only an excuse coming from individuals who think they know the best and are in need of an urgent dose of fat in the form of a burger. But, healthy eating is about stabilizing your mood, improving your health, having more energy and feeling great. What is important it is an essential ticket for weight loss. You just need to have a good diet program that you will follow. You could also read our freshly review here and learn more about this delivery service and their healthy and nutritious diet meal plans. Their ingredients are all natural and excellent for the weight loss too. There are a ton of different rules for eating healthy, but we have decided to mention the three most important ones. If you want to make sure that you’ve got that 20% rule going on for you, pay attention to these tips and try following them as much as you can. Calorie-to-nutrition ratio of packaged food is usually very bad. In simpler words, there is a high chance that there are a lot of calories involved without any nutritional value. Furthermore, eating only one or two types of food is a death sentence. When it comes to eating healthy, it’s all about the variety of different foods you take in. The most important thing you need to think about is how to provide energy, proteins, minerals, vitamins, and essential fats to your body through healthy food. How many times did your parents force you to eat your veggies? We all had the same problem when we were kids partly because we weren’t aware of the amazing benefits that vegetables offer. However, now that you’re a bit more mature, it’s time to start thinking about integrating as many vegetables into your diet as possible. Why? Because you cannot find another type of food with similar or same nutritional values at such a low-calorie count. Therefore, the best thing vegetables have to offer is the nutrition-to-calorie ratio. 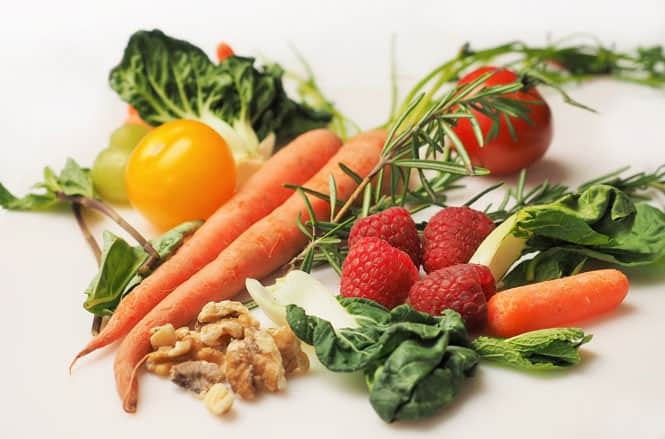 Apart from offering a high nutrition value, vegetables also reduce the risk of a stroke, cardiovascular diseases, type-2 diabetes, and even cancer. As far as the recommended dosage goes, it’s quite relative and individual. However, the general amount of vegetables you should take in per day is about one to four cups. If you want to calculate the exact amount of vegetables you should consume depending on how many calories you need, take a moment and conduct a Google search. There are plenty of eating planners available online, and most of them are free of charge. People will always find a way to cheat the system; it’s natural. Luckily, cheating is allowed in the world of weight loss, but you have to plan and control those cheat snacks or meals. It’s important that you have control over the matter in order to stay on the right track with your diet. You won’t shake the balance much with a single meal that has more calories than you can burn, but don’t put your guard down because it soon turns into a bad habit. As we already said, it’s all about controlling and getting rid of your bad eating habits. One cannot offer a straight “This or that” answer to this question. There are far too many variables involved in the equation. However, we can try to find a universal definition and leave the fine-tuning to other people. The simplest answer is that the diet is more important than the exercising part. On the other hand, the lack of activity directly affects your diet plans. Therefore, both of these elements are important, and they affect each other in a few different ways. For example, if you fail to handle either one of these two factors, the other will proportionately suffer. As you can tell, the key is in planning. You cannot start a life-changing thing if you don’t have a precise and well-crafted plan. Also, eating healthy is crucial and cannot be reimbursed with other things. The perfect recipe is quite hard to find because it’s quite relative, but once you do, the results will become more than apparent shortly. 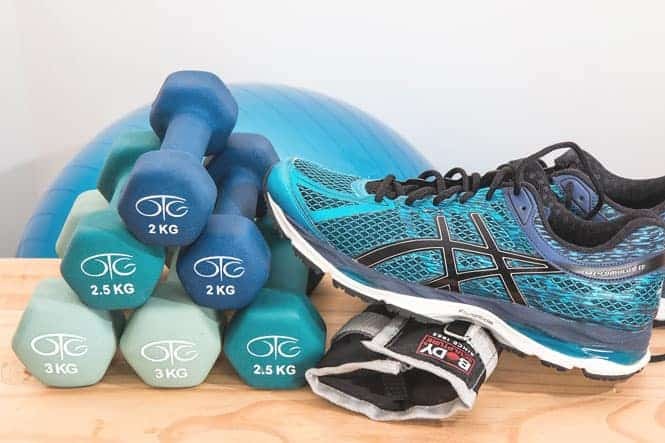 Even though exercise is great for having fun and boosting your confidence levels, it’s not a good plan of action for weight management, at least not on its own. However, if you manage to find a perfect balance between spent and acquired calories, healthy food, and regular diet – you shouldn’t have problems with achieving your goals. As we said, if you avoid fast food, canned meals, and add a lot of variety to your diet, there is no danger to your overall well-being. Consistency is also a major factor for retaining the tempo; therefore, try avoiding long breaks and inconsistent training schedules. There are some sacrifices involved, but you cannot get the perfect results without renunciation. Take good care of your health because it’s a mandatory condition for a successful weight-loss process.